In my thirteen years of climbing, I’ve never been a devoted cross trainer. When it comes to forms of exercise outside of climbing, I’m just a wimp. My thighs burn on even the flattest ground while biking, I can’t breath when I run, weightlifting makes my elbows hurt, and I sink in the swimming pool. This list of excuses also proves why I rock climb – because I’m an embarrassment to all other sports and forms of exercise. Last spring, my friend Kelli Rayburn introduced me to the Bar Method, a new workout that is spreading across the country. As with all new workouts I try, I figured it would be relatively easy because, well, I’m a climber and all climbers have egos that lead them to believe they are stronger than the rest of the population. Unfortunately for us, this is a common misperception. In fact, our few large, exceptionally strong muscle groups overpower all other small, important muscles. These smaller muscle groups are overlooked, underdeveloped, and weak as a wet noodle. Thus, we’re not really capable of much besides pulling ourselves up walls. During my first Bar Method class, I truly thought I was going to die. I actually feared that the skin over my thighs and triceps would rip open and my muscle would burst out and separate from the rest of my body. Again, as with all new workouts, my initial assumption was wrong. The Bar Method was hard, and I was the weakest person in the class. Back to square one. 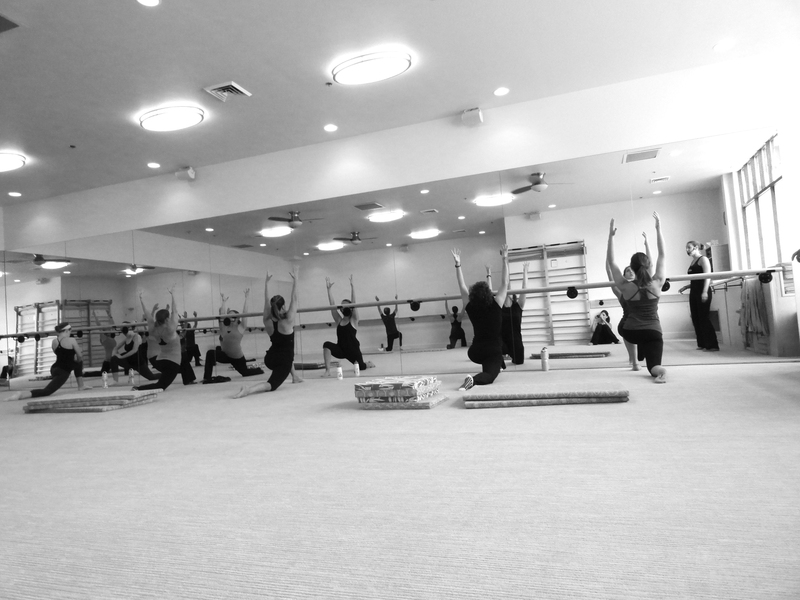 I attended the Bar Method for a few weeks last spring, and recently started up again after returning from Peru. It is, without a doubt, the most effective cross training for climbing I’ve ever tried. The hour long classes target both small postural muscles and large muscle groups by using tiny movements to fatigue those muscles. These strengthening exercises, combined with flexibility work and some Katy Perry remixes, mean you’re building up a sweat in no time. Also, I should mention that your entire body will be shaking furiously, like the elvis leg when you’re trying to rest on your climbing project, but much, much worse. After only two weeks of attending the class, I’m noticing a huge difference in my climbing. Although my muscles feel a bit sluggish at the start of my climbing workout after a class, I’m much more aware of my body, and I find that I can perform better than on an average day. The class also makes for a nice, albeit difficult, warmup before climbing, and morning classes give me an extra spark of energy for the rest of the day. I’ve noticed my posture improving, which it turn helps my back and neck pain, and makes me look like a real human rather than a caveman. I suppose a bit of an overview on the Bar Method would be helpful as well. 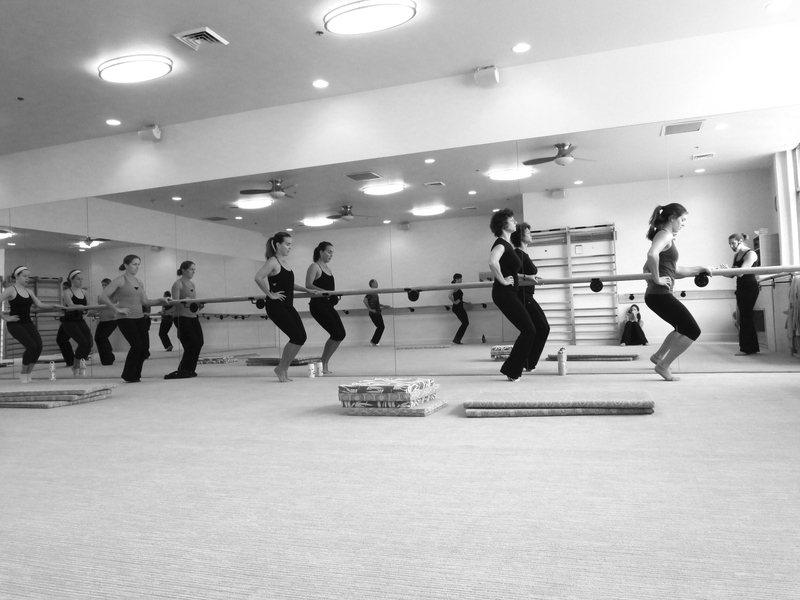 Classes are held in the Bar Method studio, a large, open, carpeted room, with mirror walls and a ballet bar running around the room at waist height. 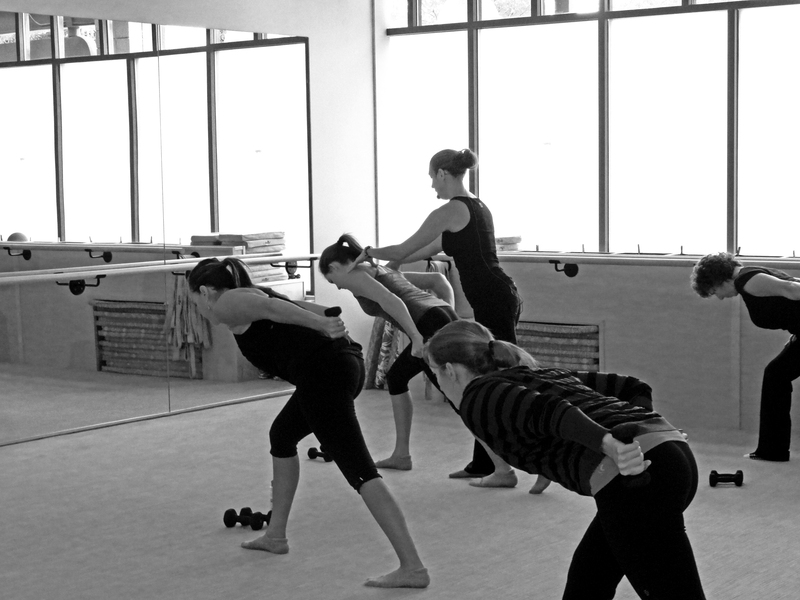 Don’t be scared by the ballet bar, the classes don’t involve any dancing (fortunately, for the sake of my confidence). Light weights are used for the arm sets (climbers, prepare to be humbled as you struggle with your two pound weights while the rest of the class graces through 3 or 4 pound sets), the bar provides stabilization for thigh and seat work, and mats provide cushion for core work. Yes, that means your entire body is attended to. Climber or not, the Bar Method will whip you into shape, one tiny movement at a time. No matter how fit you are, you will suffer. But the motivating instructors, poppy music, and fun environment will make the hour fly by. Believe me, I’ve stared down many clocks through yoga classes. The Bar Method, however, will keep you entertained. And you’ll probably be shaking too much to read the clock anyway. It will all be worth it when you send your fall projects! Check out the Bar Method website for more information, and if you live in Boulder, check the schedule here. Ok, I’m sold! I’m not in Boulder, but do you think this class sounds similar? Thanks! Hi Aimee! This looks similar, but perhaps with more props. It looks like the only Bar Method studio in Oregon is in Portland, it’s worth checking out if you’re there! I’d be interested to hear how Barre3 goes as well. I haven’t tried barre3, but Pure Barre and The Dailey Method are very similar. 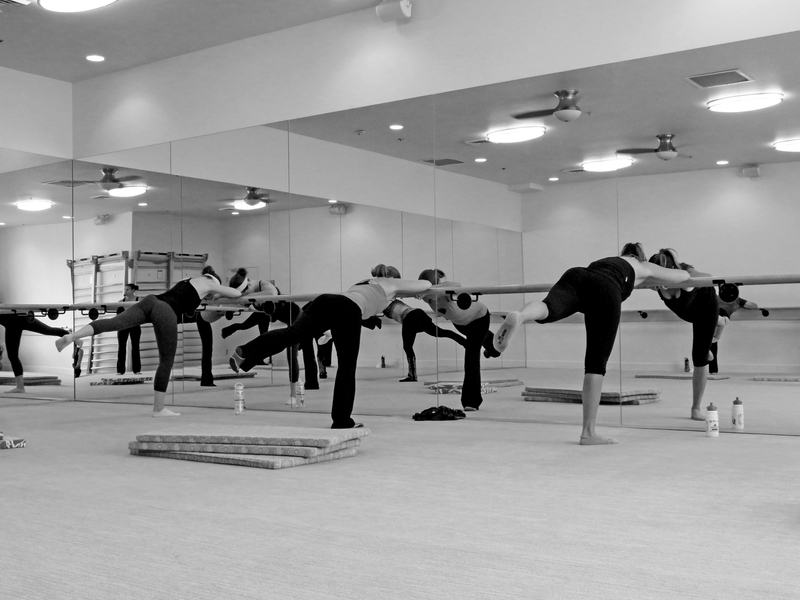 I think Pure Barre is the closest to The Bar Method. 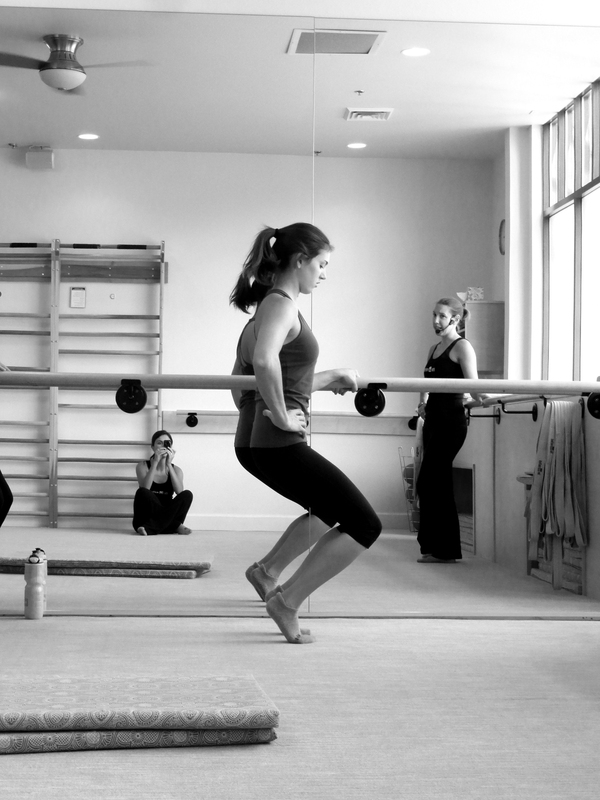 Then there is Xtend Barre (more cardio component, lots of lunges) and Cardio Barre (I haven’t tried this one). All that I have tried are equally brutal. 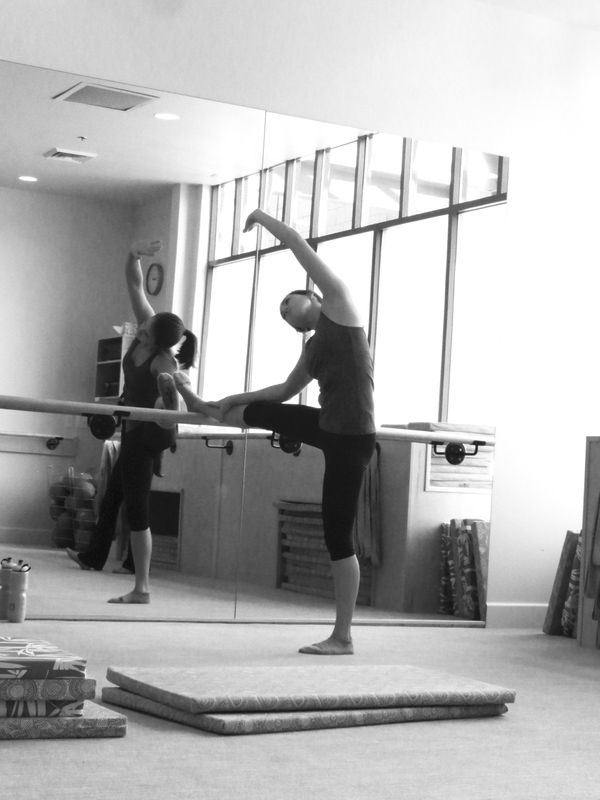 My seat is still sore from Saturday’s adventure at San Diego local studio Barre Body. You might call me a barre hopper.